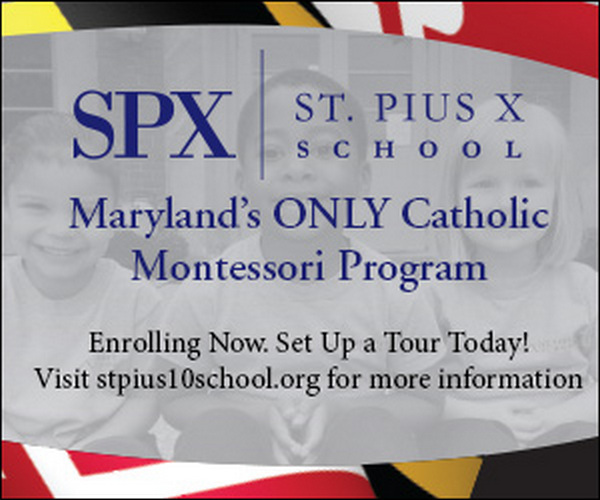 St. Pius X School has been an institution in Towson, MD for over 50 years. Tens of thousands of students have walked through its doors and received an education that launched them to greater academic accomplishments and ultimately very rewarding and successful careers. The school had been seeing a steady drop in its enrollment – because of the decline in young parishioner families attending the church and because public schools in the area had become so much better. In 2014, the school approached us with the notion of changing its curriculum and becoming a full-time Montessori program – with a twist. They would continue to be under the aegis of the Archdiocese and be involved in faith formation. There were two challenges. The first was relatively easy – start to enroll students interested in a Montessori program. The second was a little more challenging – to maintain the current student body who were enrolled in the school for its traditional curriculum. After 6 months of interviewing parents, alumni, teachers and administrators, we presented a plan that provided a strategy for both current and perspective families interested in a Montessori educational experience. We developed a new theme for the school – “Growing in Wisdom and Grace” – this encapsulated the feelings and thoughts parents interviewed articulated. We knew that we needed to reach a wide audience for the enrollment effort in 2015 and we relied on TV and digital campaigns to carry their compelling new message. The school was shifting gears and the story could only be told with the production values a video provided.We learned about the faith formation of St. Pius’ educational experience. 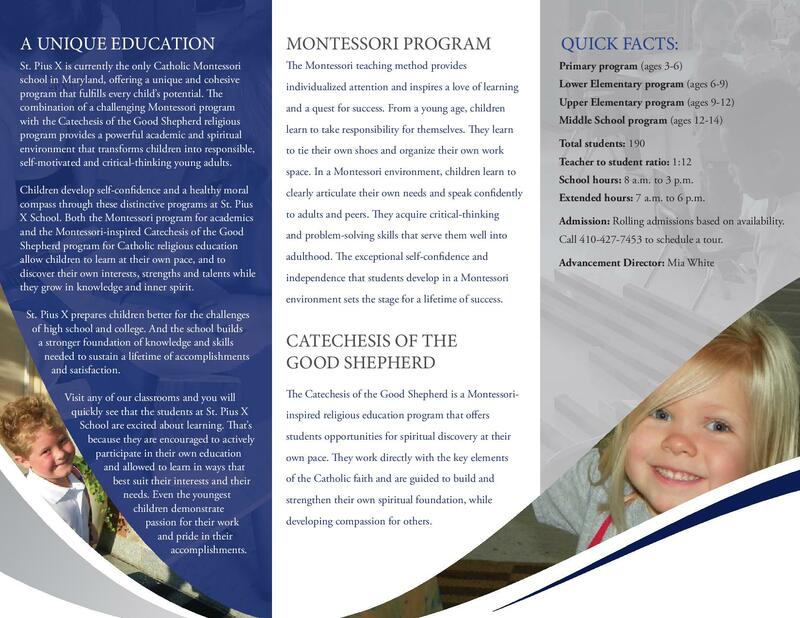 It was good fortune that we learned about the Catechesis of the Good Shepherd, the religious education program the schools used and how it was formulated by disciples of the Montessori. This allowed us to tell a very concise and exciting narrative – the fact that St. Pius X School was the only school that holistically blended education with faith formation. Going into the 2017/2018 academic school year, St. Pius kept a large number of its current families. Adding many new students kept enrollment on a steady incline. 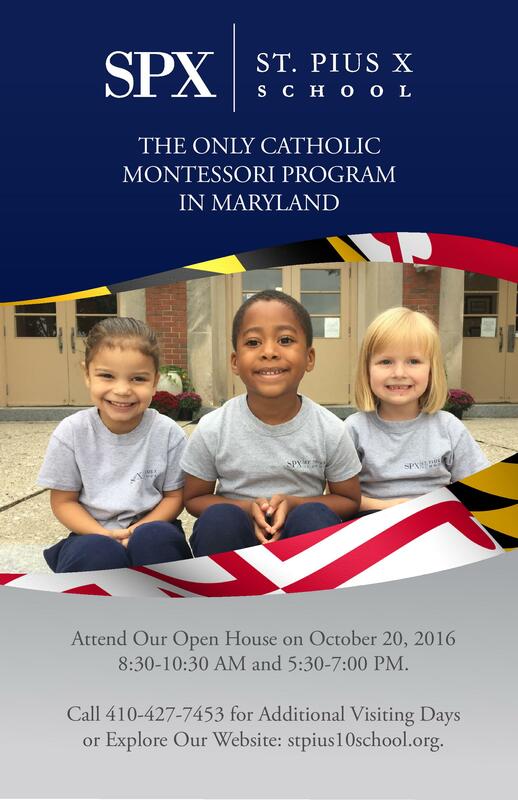 The school has expanded its primary program from 1 group to 3 and there are plans to expand even further by 2020. 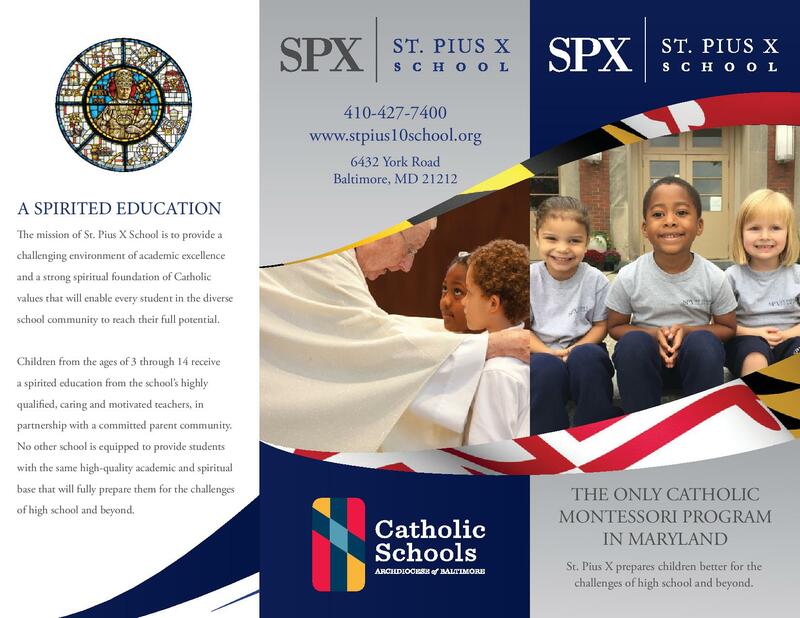 St. Pius X School continues to draw families from its traditional neighborhoods and has received numerous inquiries from families living outside of Baltimore who are willing to travel to their new school.